SUPERCHARGER by Rynhart R&D - One that didn't make it into production. Any owner of a Hatz powered diesel motorcycle would have been overjoyed at the prospect of being able to supercharge their machine. This looked very much as if it would be possible what with the progress made by Irelands Rynhart R&D in this field. An article detailing this companies development work up until 2002 is available from the Bullet-in magazine(see links page under literature), available on the internet (.pdf format). Unfortunately things have taken a turn for the worse over the last year or so. Derek Rynhart told this site that he had been forced to call it a day and wind his company up due to the fact that his superchargers were too good. 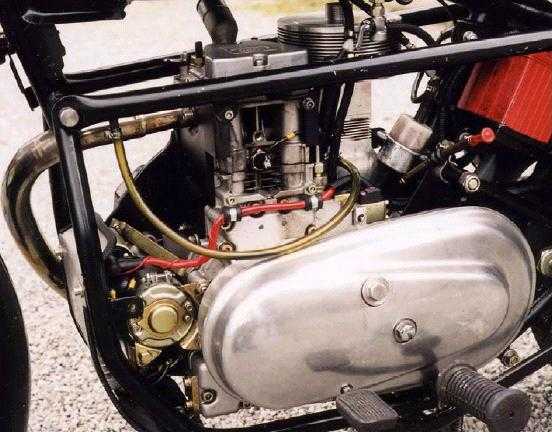 Combustion pressures of the Hatz 1B30 are 55bar but Rynharts supercharger put these up to 100bar which resulted in four broken crankshafts. The superchargers were O.K. on the bigger 1B40 engines but still there were problems. The engines fuel pumps could not generate enough pressure to get the diesel into the chambers. It was with these problems in mind that Hatz told Rynhart they were not prepared to upgrade all of their engines to take account of the super chargers capabilities. Given that Rynhart managed to more than double the BHP of the 1B30, this is a shame for riders who ride 1B30 Hatz engined bikes. No doubt there are more details that may come out in time but those above give the main reasons why we will see no supercharged hatz motorcycles in the near future. 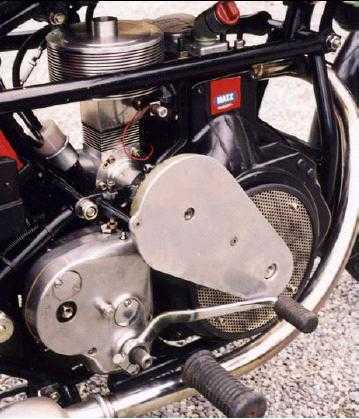 A Rynhart R&D Supercharger fitted to a Hatz 1B30 powered Royal Enfield. 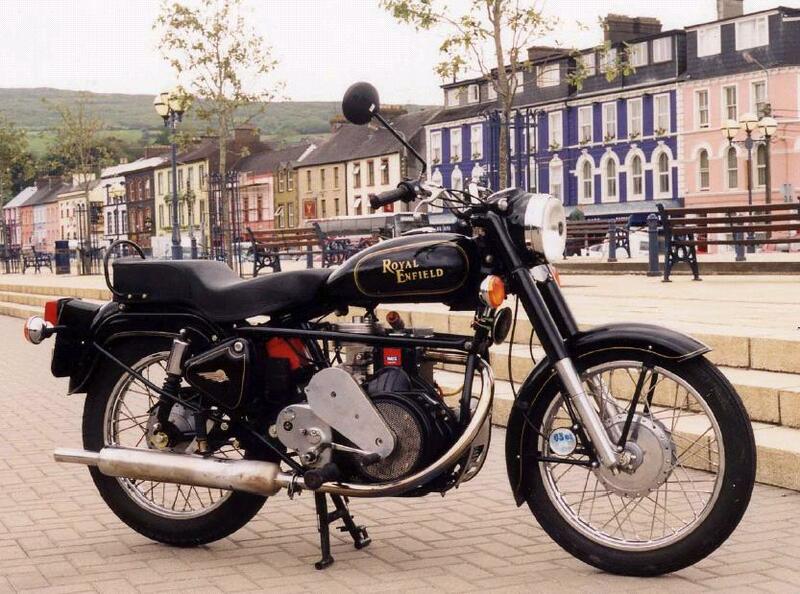 This Royal Enfield Hatz sure looks different with that supercharger on.